The problem is a "popular" one. You have 2 facts with different levels of aggregation. 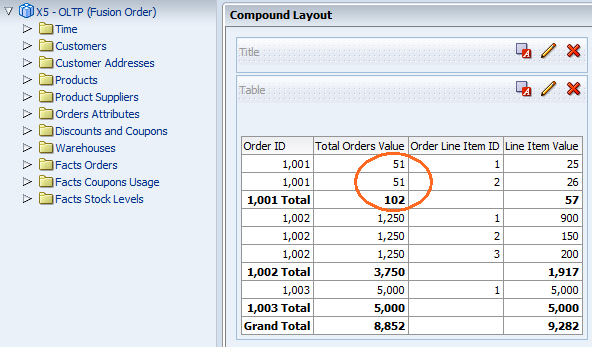 It's often Orders fact and Order Lines fact (where there are Order Total in the Orders fact and Lines values in Lines Fact that might not the same due to shipping or general discount). In my case this is Fines fact and Payments fact. In this case they sums often don't match since they might be only partial payment of the fine. I blogged about the solution of the problem on the Analysis level here. The customer insisted on natural solution in the repository model. 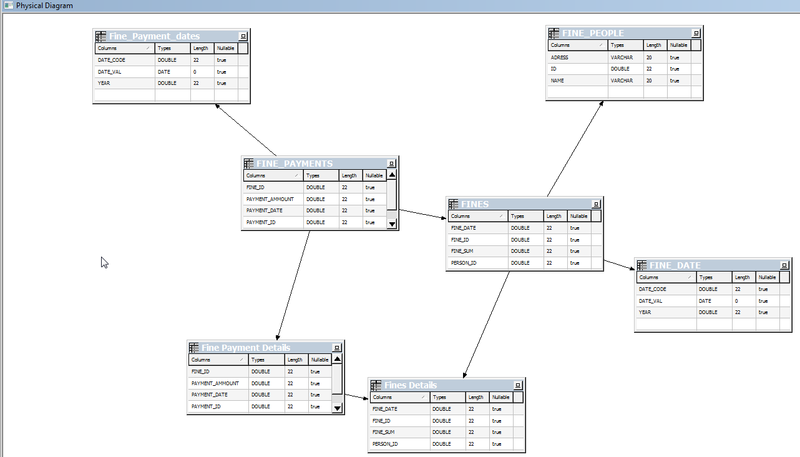 This post is about the modeling solution. In the example, the first order total was multiplied by the number of lines, so we have 102 instead of 51, as desired. My first attempt was to divide by the number of lines in the model. I didn't mind seeing the relevant portion of the total fine in each line, as long as the total was correct. It was almost perfect, but the default aggregation of the column wasn't sum, so it forced the user to change it manually. Lets start from the begging. 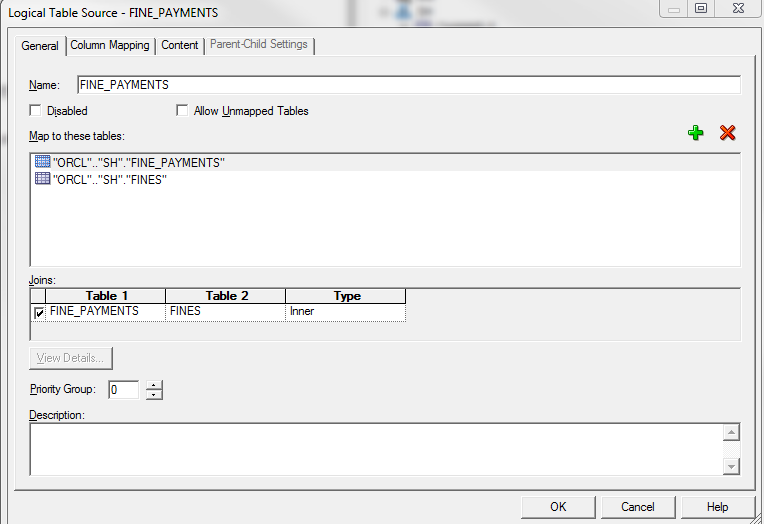 I have 4 tables: Fines, Payments, Dates and People. I'll duplicate (alias) the Fines and Payment so we will have fact and dimension for each. I'll also duplicate Dates, so we will have Fine Date and Payment Date. 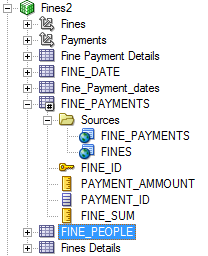 In Payment data source I also joined the Fines (I'm not sure this step is needed). Now comes the tricky part. For FINE_SUM I defined the Aggregation to be based on dimensions, with SUM for the Fines Dimension and AVG for Others. Please note, the order here is critical. That is the difference between Sum(AVG(xxxx)) and AVG(SUM(xxxx)).